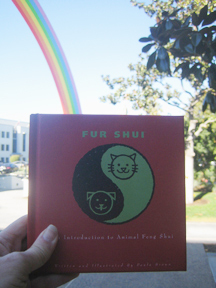 Fur Shui was at Sony Studios...formerly MGM. 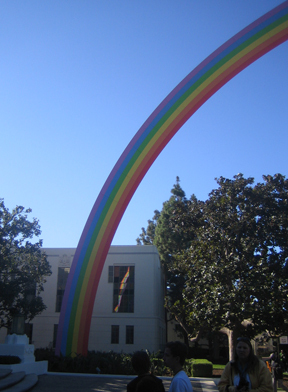 Traveled under the new Rainbow sculpture, did not see any Munchkins or Wizard though. But did meet up with game show celebrities and enjoyed the day mingling with stages, props, and movie history. For all of you that make it to Jeopardy or Wheel of Fortune, brush up on your "Skills and Knowledge". Wear some blue when you stretch your mind. And, for your fur folks be sure to train them in this life space, great location to learn and be rewarded! Be sure to follow your "rainbow"!